PM to congratulate Brazilian president-elect in person at his inauguration ceremony, making him first sitting PM to visit Brazil. Binyamin Netanyahu told Jair Bolsonaro in a congratulatory telephone conversation on Monday about his intention to greet him soon in Brasilia for his victory, reported Folha de S.Paulo newspaper. Israeli media on Wednesday confirmed the prime minister’s intention to travel to Brazil, citing an official in the prime minister’s office. 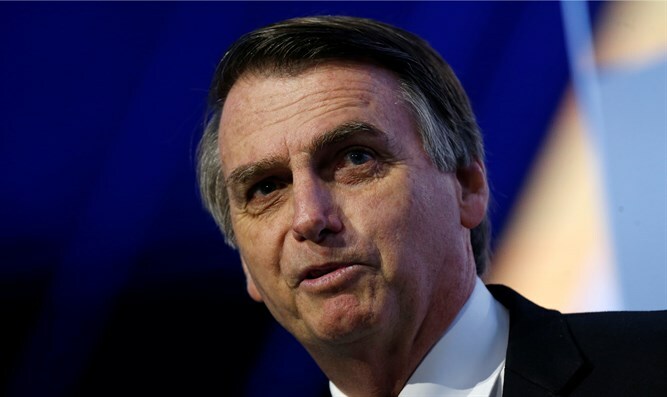 The Israeli leader also tweeted a message of congratulations to Bolsonaro shortly after he was elected Brazil’s new president on Sunday. “Brazilians have elected a new president in free and fair elections. The process has split and polarized the Brazilian society, including our very diverse Jewish community. Now is time to reunite, based on our Jewish and democratic values of justice and tolerance,” he told JTA. “Bolsonaro has indicated he will be a strong supporter of Brazil-Israel relations, and we will work together on this goal,” added the head of Brazil’s umbrella Jewish organization.